This is best example we have ever seen of one of the early RAF issued Seiko chronographs (Generation 1). 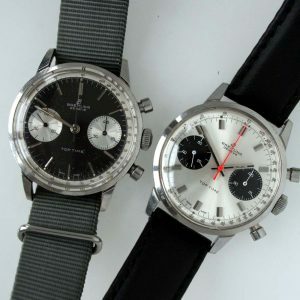 These were procured from Seiko UK by the RAF and issued initially to Royal Air Force pilots and navigators. 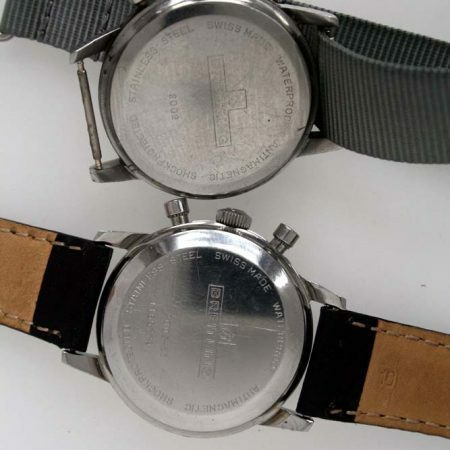 They were later also issued to Royal Navy Helicopter Pilots. 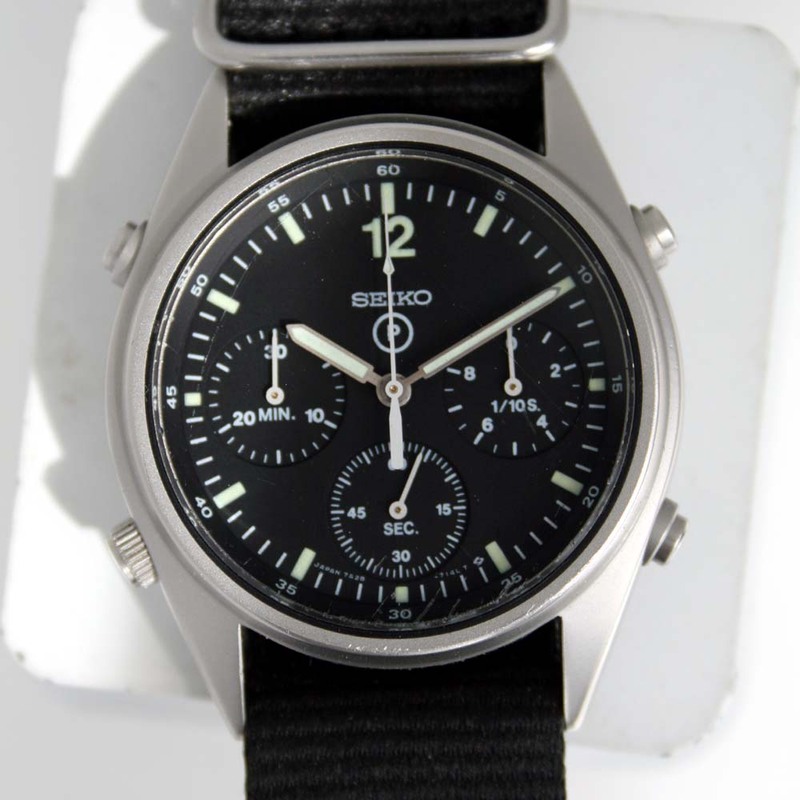 According to Konrad Knirims seminal book “British Military Timepieces” (page 624) only 11,307 pieces of this Generation 1. military model were issued by the RAF from October 1984 until November 1990. This one is dated 1988 on the case-back and therefore would have seen action in the First Gulf War in 1990 (code-named “Operation Desert Storm”) to liberate Kuwait form Saddam Husseins Iraq forces. 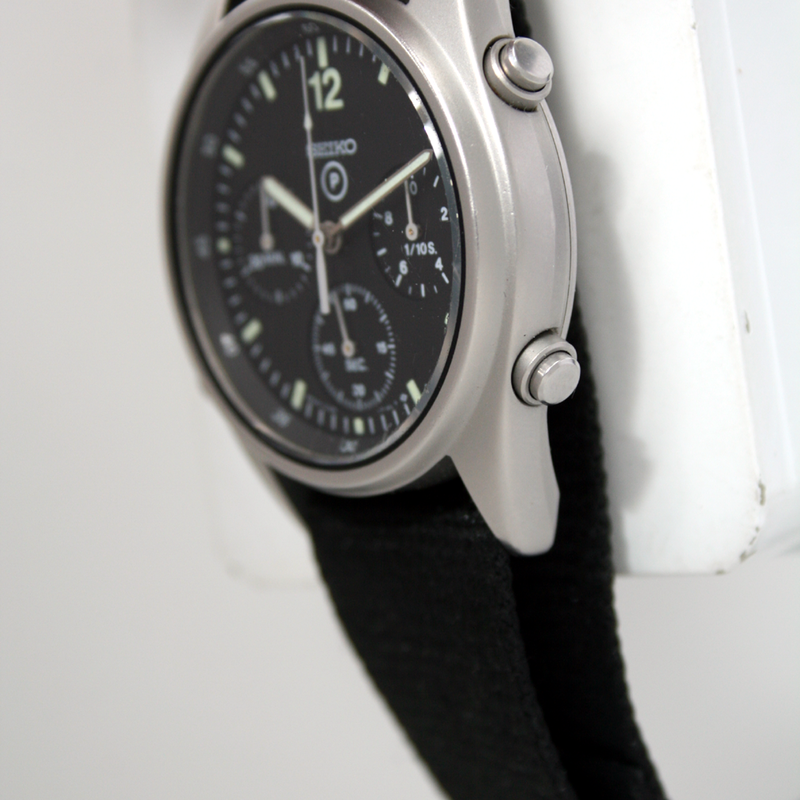 This model features sand-blasted stainless steel case in absolutely superb, unpolished, condition. The watch is powered by the highly-regarded, higher-quality 15-jewel, quartz 7A28 Seiko movement. 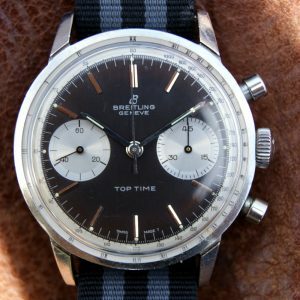 This watch has three pushers and all the usual chronograph functions including split timings and 1/10 sec timing as well as second and minute indicators up to 30 minutes. 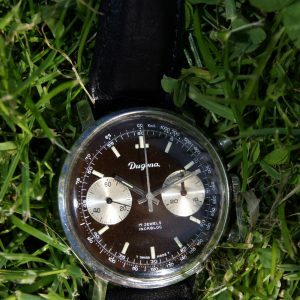 The sub-dial measures tenths of a second actively until 10 minutes have passed. Once the chronograph is stopped the hand will move to the correct position indicating the tenths of a second that have elapsed. 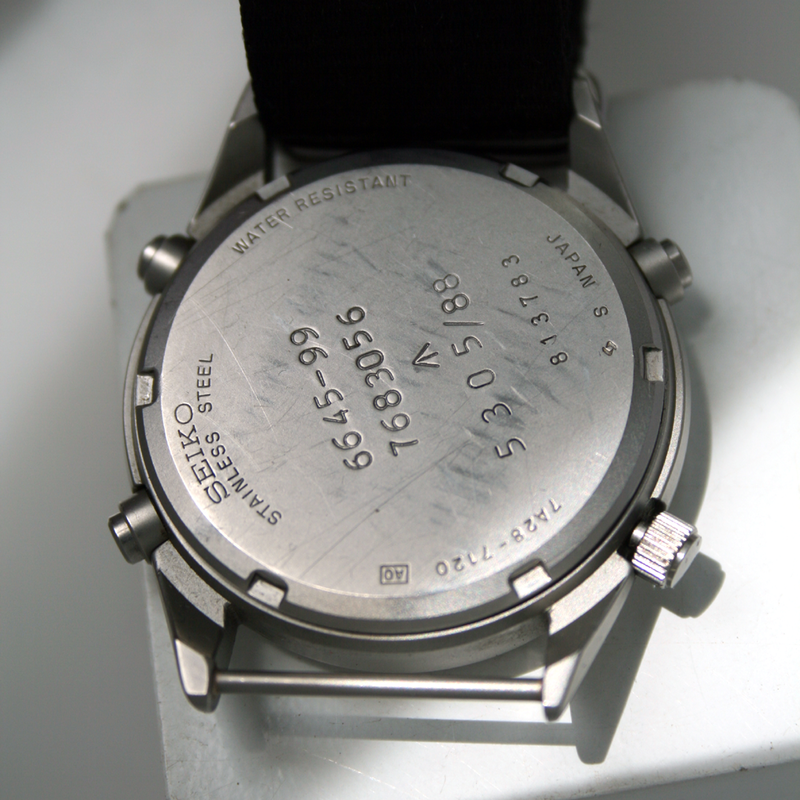 As a result of the application of Promethium 147 (a mildly radioactive emitter), the dial has luminous markers. The case, excluding the crown and pushers, measures 37mm across and has an inter-lug width of 20mm. As it is required by the Military Spec. 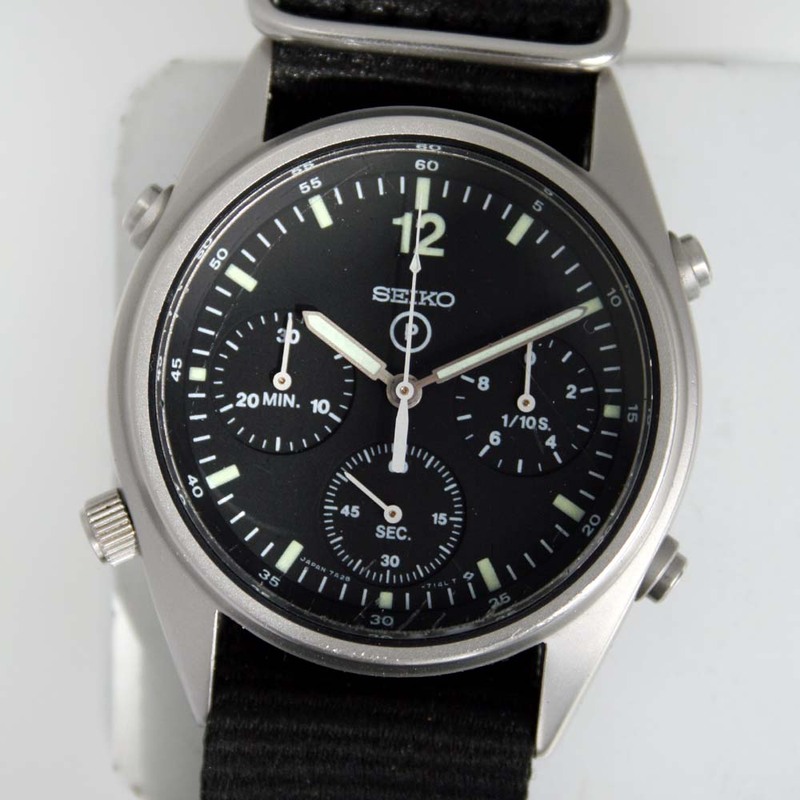 all these Seiko military Gen. 1s have fixed strap bars. 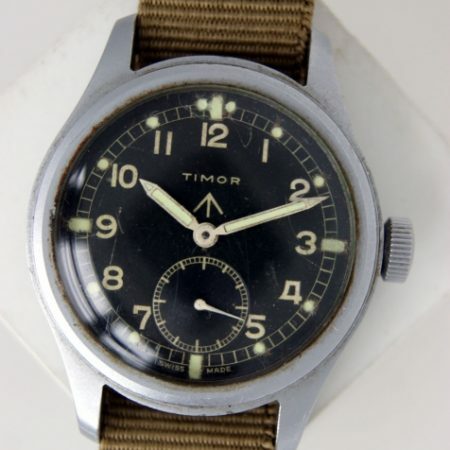 The crystal on this watch is mineral glass and is the original and has very light trace marks from military use. A new battery has just been fitted. 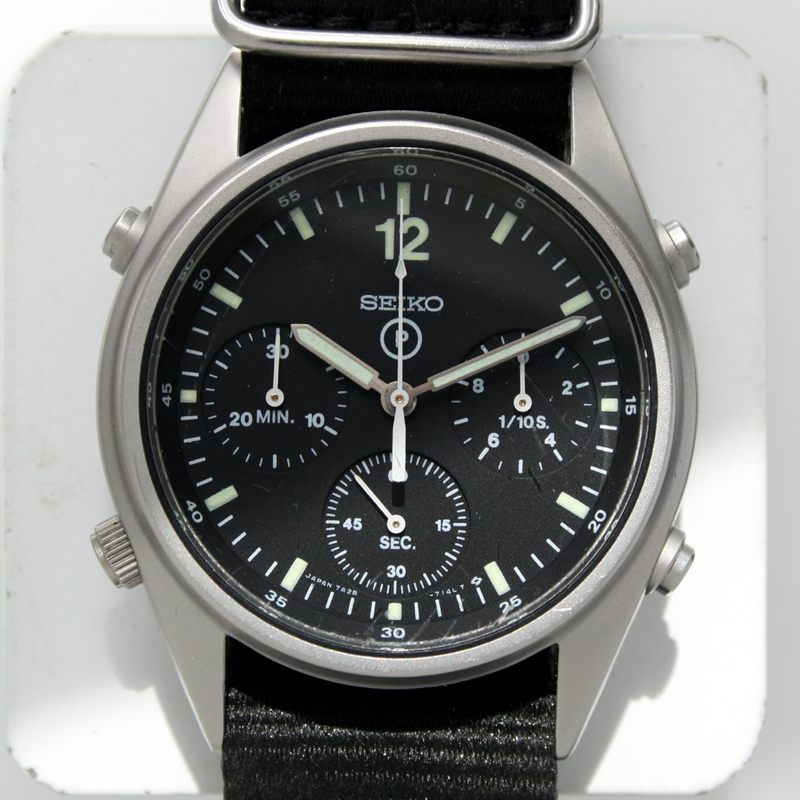 This RAF-issued Seiko military generation 1 watch is considered to be one of the most sought among military watches and this is not surprising as the model is relatively scarcity as well as of a higher grade movement. 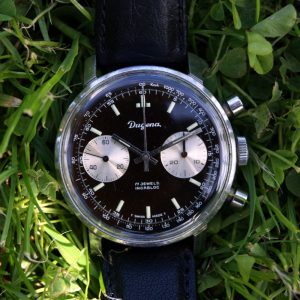 More high-resolution photos of this watch are available upon request.